Talented urban planning that has sufficient vision for the future will anticipate the needs and behaviors of a city, looking forward to its growth and reconfigurations over time. 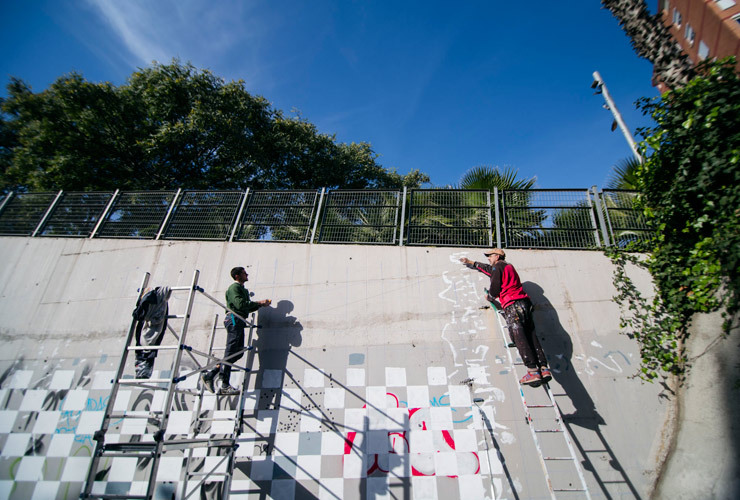 In L’Hospitalet, Spain the Street Artist Ampparito gathered plenty of evidence that sometimes old solutions in the built environment have to be destroyed in order for the new needs of an evolving city. 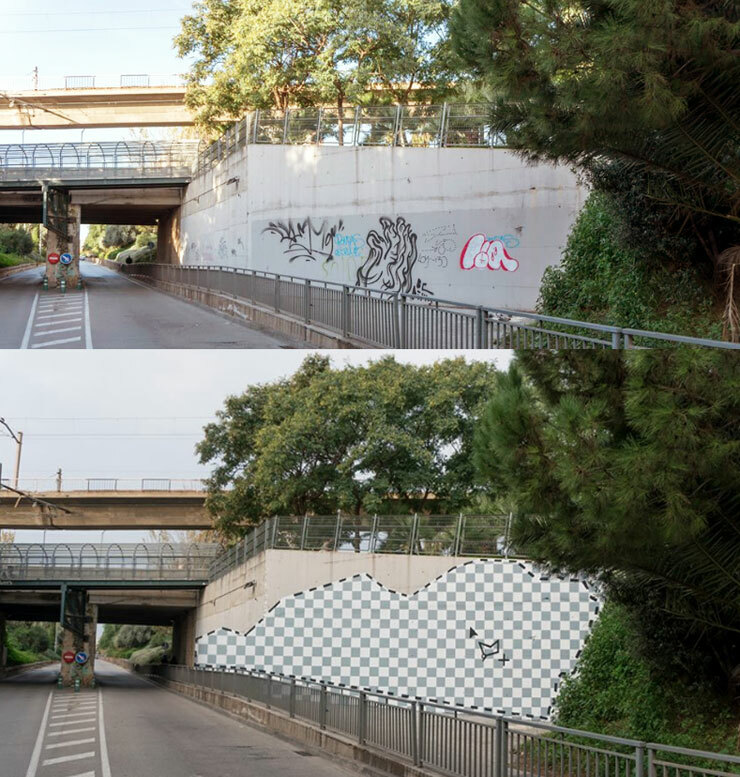 The resulting new mural is a humorous merging of digital and mortar, a conceptual piece that imagines the erasing of walls of an urban design/engineering mess in the way a Photoshop designer may do it – without heavy equipment, traffic disruption and no environmentally toxic by-products. 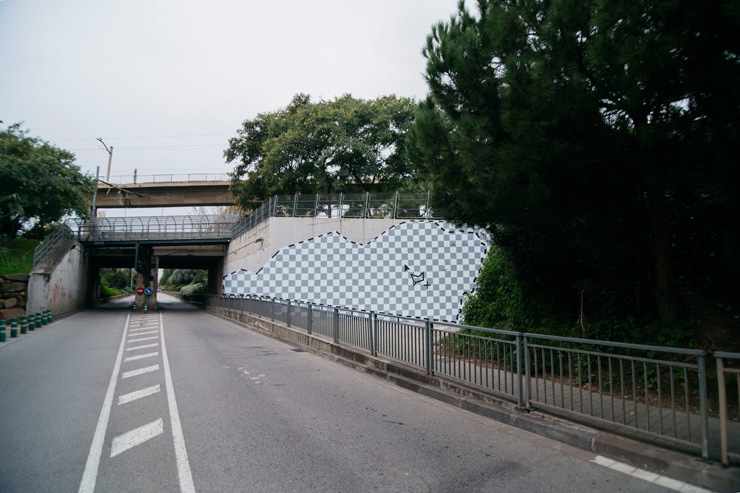 The meeting place of a rail line and a road that once served the communities that grew up around it, everyone agrees that it now divides it and impedes a freeflow of traffic and people. It is something that a practitioner of Chinese medicine or its various healing modalities (acupuncture, Qigong, Tai Chi) may describe as an interruption of energetic pathways, a blockage of Qi energy. In the parlance of urban designers and civil engineers it would be similar; rebalancing urban mobility. Although he may have liked to create an image that provided an emotional healing or comfort, the artist says that a decorative or aesthetically pleasing design wouldn’t have answered the calls from the community. 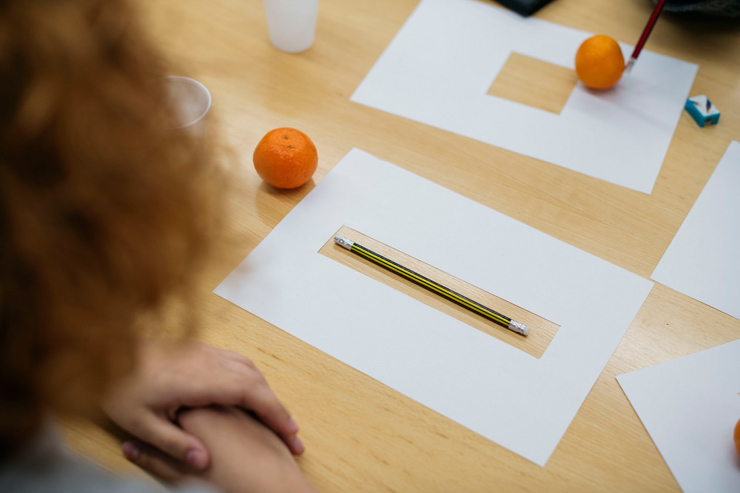 Why not simply select your Photoshop tool from the toolbox and erase the obstruction? That’s what students helped Amparitto decide during his workshops with them to study the issue and devise solutions. An ingenious solution that speaks to the difference between digital work and actual labor, it also may not translate as clearly to older generations or those not familiar with design software, but it packs a visual punch that makes you crack a smile regardless. 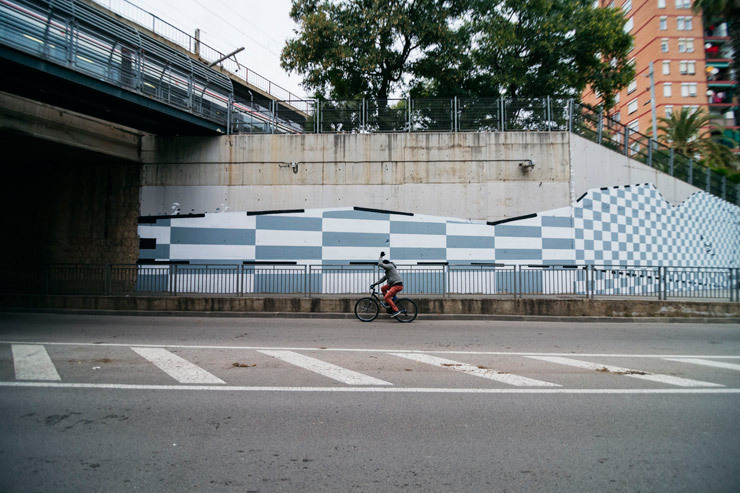 Bodegas, Urban Sustainability, and Skewville?